Valves have a hard life. 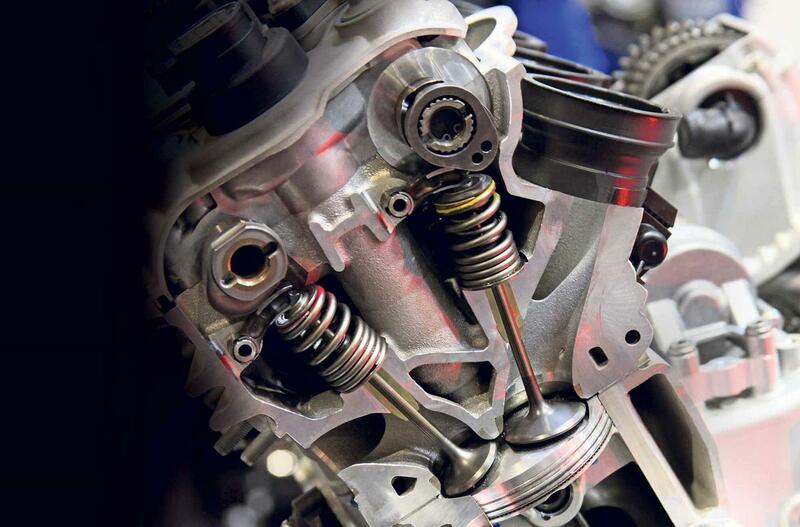 Whacked open by a cam then slammed shut by a valve spring, on a high-performance motor such as the BMW S1000RR, the inlet and exhaust valves go through this cycle at an incredible rate. At the old RR's redline of 14,200rpm, each valve opened and closed 118 times per second but for 2019 BMW have increased the limit on the new ShiftCam engine to 14,600rpm. To achieve this, while maintaining reliability, they’ve introduced a world-first in production bike design: hollow-bored titanium valves. Lightweight titanium valves have been used in production sportsbikes for over 15 years because they are 40% lighter than steel, so reducing valve-train inertia and the possibility of valve-float at high revs. Hollow-boring takes this one stage further. "On a sportsbike motor you need to reduce the mass of the moving parts due to the fact you can see acceleration G-forces of 5000G acting on a valve," explains Karl Viktor Schaller, BMW Motorrad’s Head of Engineering. the valves are 10% lighter than normal titanium valves." But what would have happened if BMW hadn’t used this technology? "The valves themselves are capable of withstanding these forces, however the critical area is the disc that retains the valve spring," says Schaller. "The valve has a groove machined into it that two wedges (known as collets) sit in to retain the disc. Under high acceleration, these wedges tend to be forced through the disc, causing the valve to fail." To create this new valve, BMW have changed their production process. A standard valve is made in two parts (a stem and a base) and these two are then friction-welded together to create a valve. Now, in simple terms, BMW have hollowed out the valve stem before joining the two parts together. "The size of the valve shaft is the same at 5mm but we take 2mm out of its centre through a secret process," says Schaller. "To be honest, when I first saw hollow-bored valves I thought 'This can’t work', but it is fantastic technology. Steel valves are for normal motorcycles, titanium is for sportsbikes and hollow-bore titanium for top-end sportsbikes such as the new S1000RR." 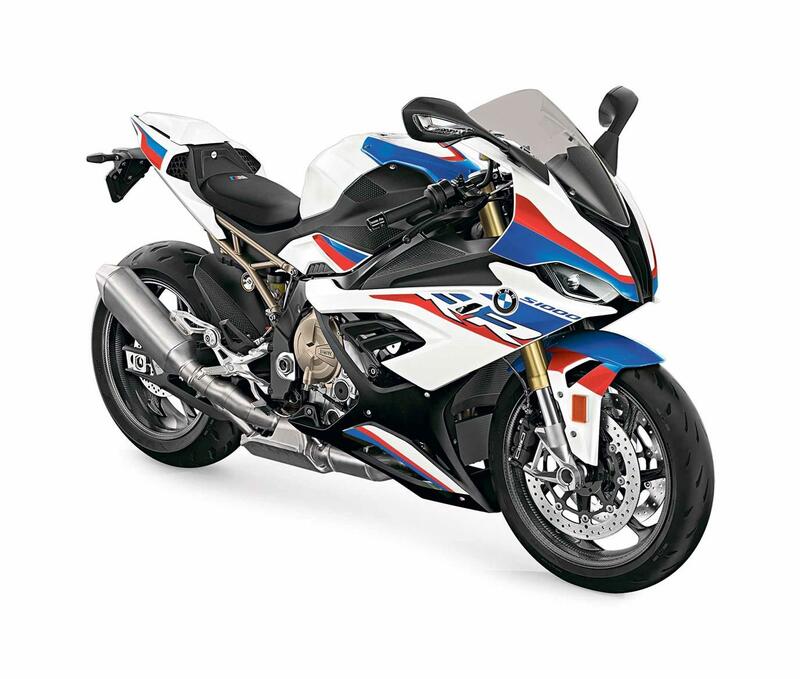 Find a used BMW S1000RR for sale.